'If I forget thee O Jerusalem' by the outstanding artist, Bro. Arie Lynn. 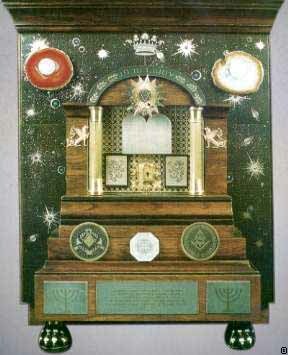 Hand-made stained-glass window (vitraille), She'erit Israel Synagogue, Nashville, Tennessee, U.S.
Reprinted from The Israeli Freemason. The Statue of Liberty, Liberty Island, New York City, New York, U.S. Artistic design by Sculptor Frederic Auguste Bartholdi (1834-1904). 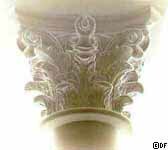 Structural design by Civil Engineer Gustave Alexandre Eiffel (1832-1923). The construction of the 46.5-m-high (151-ft 1-in.) statue began in France in 1875 and was completed June 1884. Total weights: Steel structure 125 ton (250,000 lbs) and copper sheathing 31 ton (62,000 lbs). Presented to the U.S. by the people of France on July 4, 1884. 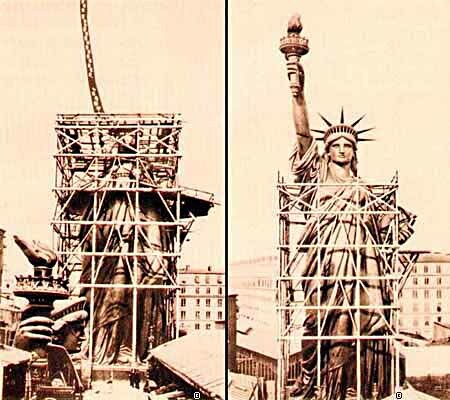 In early 1885, the 350 individual pieces of the statue were dismantled and shipped on the French frigate Isère. 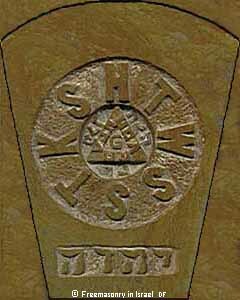 York Rite's Royal Arch keystone. Before World War I. 'Heavenly Jerusalem.' 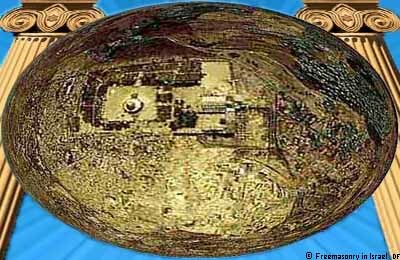 Home of the Temple of Solomon, King of Israel. Graphic composition. 'The Straight Path.' Graphic composition. 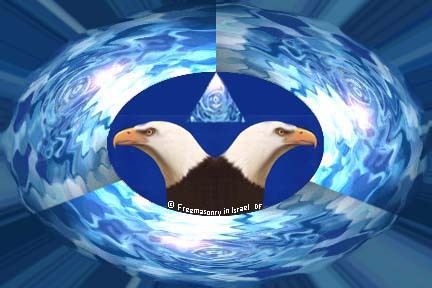 'The Eagle's Vision.' Graphic composition. 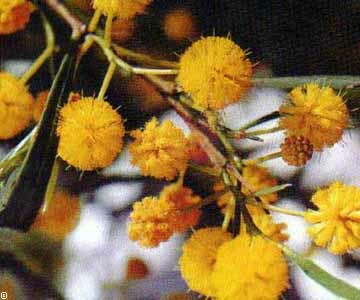 A low perennial tree with racemiform, globular, small, and yellow flowers that bloom in spring. 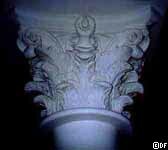 Sculpture offered by the National GL of France to the GL of Israel. 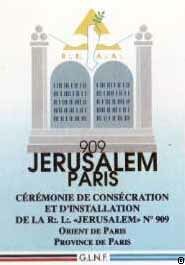 Cover of invitation from the National GL of France for the Consecration of Lodge Jerusalem #909. Paris, France. 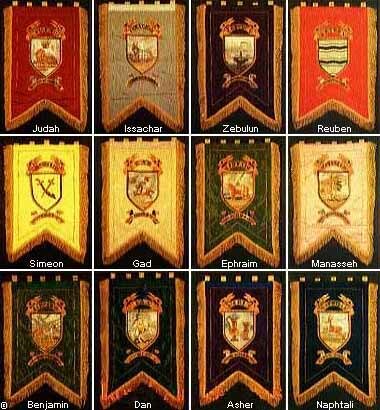 Standards and Emblems of the 12 Tribes of Israel. 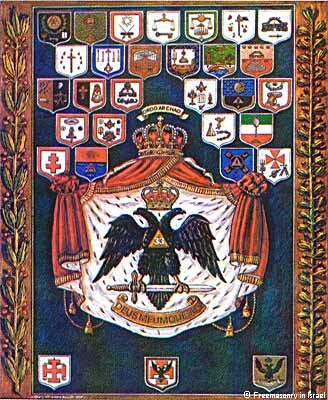 Reprinted from the Boletin, La Fraternidad #62, Tel Aviv, Israel. 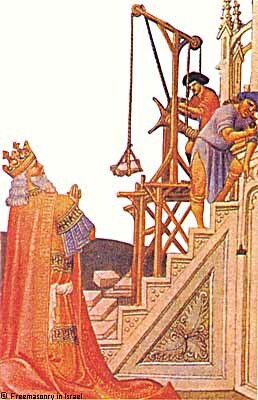 Solomon, King of Israel, inspects the construction of the Temple at Jerusalem. 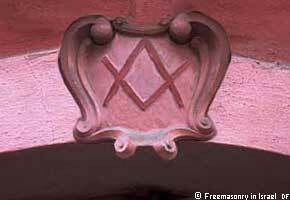 The Symbols of the 33rd Degree of the Scottish Rite. 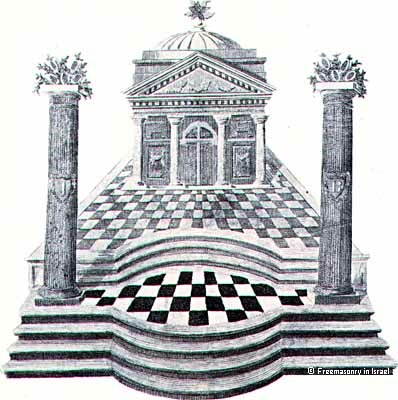 Copyright © 1997- Freemasonry in Israel. All rights reserved. • Valid XHTML, CSS, WAI, Unicode. Reproduction, distribution, or publication of any part of this web site, in any form or by any means, constitute infringement of copyright laws. 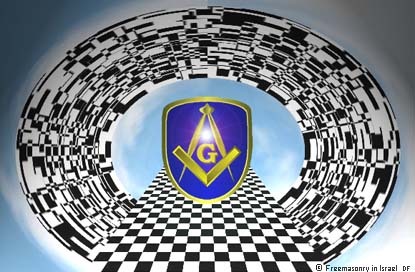 This web site is NOT the official site, statement, or opinion of any Grand Lodge, Lodge, or individual. 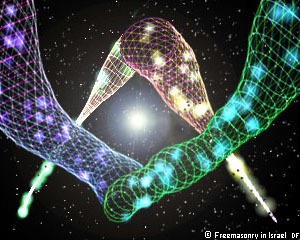 All contributions are voluntary and represent only good intention and effort.